Back in late December 2013 Ian Fleming Publications and the Ian Fleming estate presented their new logo. 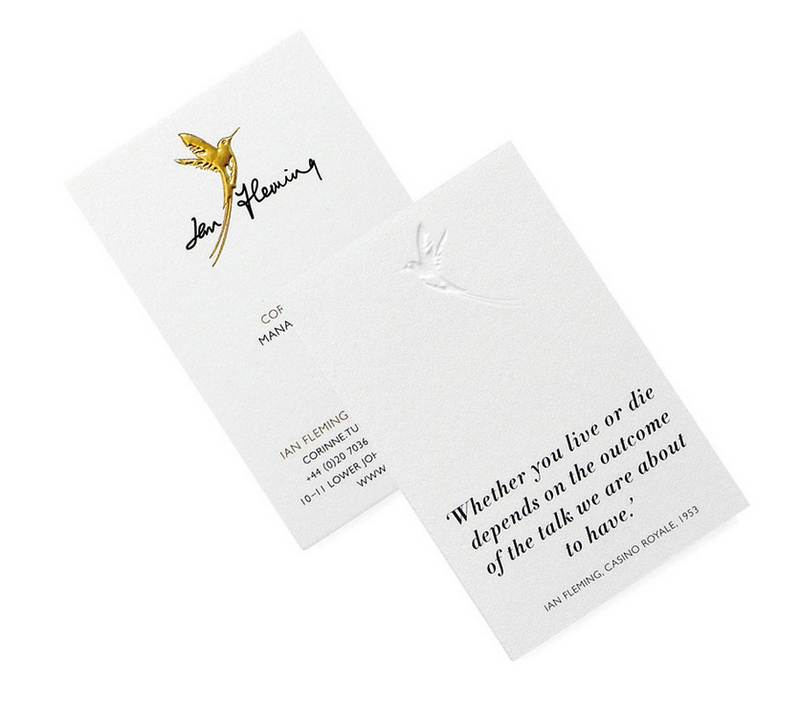 The logo featured the Ian Fleming signature and a golden Jamaican Hummingbird. The hummingbird is actually the national bird of Jamaica. Ian Fleming loved Jamaica and when he started to work for Kemsley after the second world war he made sure the he got two months paid vacation that he could spend at his newly build house called Goldeneye in Jamaica. During these eight weeks Fleming wrote his James Bond books that later was published one year later. The new logo is produced by Webb & Webb and among the art directors of UK there new approach for Ian Fleming Publications got some negative response saying for instance "Unfortunately none of this comes together nicely in the logo. The nearly Photoshop-posterized hummingbird lacks personality and it offers no point of view nor visual relationship to the worlds and characters created by Ian Fleming, its white markings on the side of the body are distracting, and the tail breaking the signature doesn't make a lot of sense. The serif typography in applications feels forced and overly nostalgic and the gold printing of the logo isn't particularly flattering. This needs to be shaken and stirred and started all over again." I do not agree with this feedback at all. If you know your Fleming then you know that the hummingbird can be found in Jamaica where Fleming lived. Also the house is called Goldeneye so the golden colour is great as well. Last but most important is that Fleming got the name from a ornithologist called James Bond who had written Field guides of birds of the West Indies. Therefore it is so correct to use this bird as a logo together with his signature. The only part I do agree on is that the bird should not split the signature in two. I would have done the logo as on the top of this blog post. I also like the circle with the 007 in it. It is used frequently across the globe which link all the books together. The task that Webb & Webb had was to "creating a brand identity that could be developed beyond the '007' mark and into licensed products as well as written and audiobooks. The new identity needed to celebrate Ian Fleming the author, his style, his wit, his 'englishness' and not just his most famous creation"
The old logo was simply the text IAN FLEMING with a silhouette of the man himself with a shadow that was James Bonds. But one thing is sure. If the below business cards a something they actually made and not just prototypes I want one because they are so cool. 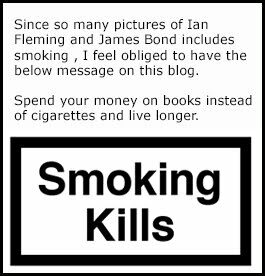 To read other blog post where Ian Fleming Publications are mentioned click here!